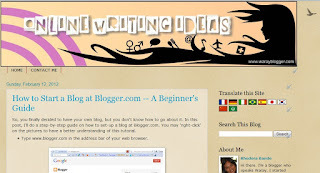 WARAYBLOGGER.com hopes to inspire those who are new to blogging. Blogging is sometimes similar to parenting – you don’t count what you’ll get in return for taking care of your children. You just continue loving them and nourishing them with parental care. Many bloggers don’t think about “return of investment”. Even when the future seems bleak, they still persevere. Well, bloggers do what they do for varied reasons. If you're just starting to blog, this site is for you. I'll be documenting my journey as a blogger and will be including some tips on how to start a blog and what features to include in a blog. I grouped these posts into Blogging and Online Writing. Let's talk about one category of this site: Online Writing Ideas. The original plan was to feature on this site, online writers and bloggers as well as some of their articles. I made a series about them which you can find under this label: Online Writing Ideas. I have not been able to include other bloggers in this category, but I will update this list during the summer break. In the meantime, I hope you'll get ideas on what to write based on my posts. You'll see a pattern in them and I'm sure you'll be able to find your own niche topic by making your own pattern. 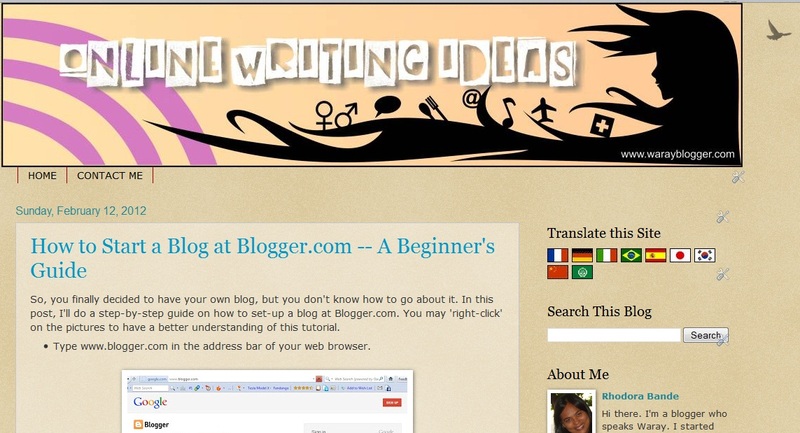 There is also another category I made for my blog -- the Waray Tutorials. If you are planning to learn the Waray language, this site is for you. If you speak Waray, this is also for you. I know the other varieties of the Waray language and I'm sure you'll be surprised at how different some of the Waray words we have in Northern Samar from the regular Waray-Waray. I also have an online Waray dictionary, some posts about Waray words, and some Waray songs. Once in a while, I might have entries not belonging to any of these categories; hence, the Random Thoughts and Posts. You may also check the other labels at the right sidebar of this blog.